Constant burping can be annoying — and embarrassing! 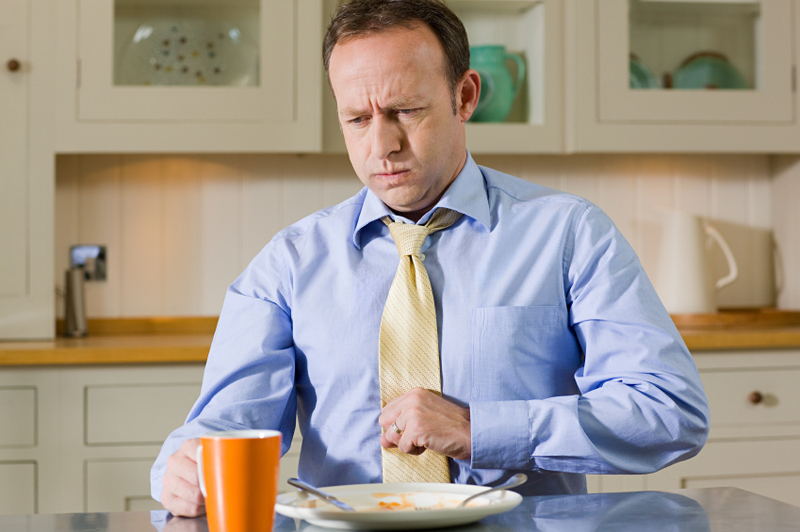 But there are some simple steps that can help you squelch belching. The key is to reduce the amount of air you swallow. Start by looking at some simple habits. Two of the biggest culprits behind swallowing too much air are chewing gum and smoking. Drop these habits and you'll be gulping less air — and quitting smoking has even more important health benefits! If you wear dentures, make sure they fit snugly. And avoid "high-air" foods and beverages like carbonated beverages and whipped desserts. After eating, consider taking a stroll rather than plunking down in front of the TV. Staying upright and moving helps your stomach empty and relieves bloated feelings. When it's time to go to bed, try sleeping on your stomach or right side to aid in the escape of gas and alleviate fullness. Some people swear by eating brown rice or barley broth regularly. Papaya and pineapple are also said to help. Whatever you eat, chew foods slowly, avoid washing meals down with liquids, and try to eat smaller servings. If you find that you're swallowing a lot of air often, talk with your doctor. Sometimes this problem (aerophagia) can be related to stress or anxiety, and treating these underlying issues may help calm your digestive tract. For more information and advice on ways to control discomfort in your digestive system, read The Sensitive Gut from Harvard Medical School.